REGISTER FOR THE 2016 OPEN!! It is literally a week away and you will not want to miss out on the fun! Click here for the link to the registration site. One of the simplest and quickest mobility exercises to do, only takes 2-4 minutes to do, is rolling out, with a lacrosse ball, the bottoms of your feet. Yes might sound weird but if you think about it, we are on our feet all day long. That is a lot of constant pressure on the our feet and the tendons, muscles, and joints that are found there. Over time these muscle become, what I like to call, “laminated together.” When the muscle start doing this and nothing is done to relieve the area of tension, then a ripple effect happens. Some people develop shin splints, and others develop plantar fasciitis. Most, however, simple develop immobile squats and or deadlifts. Tight feet = tight calves = possible knee pain/ tightness of the area = restricted squat depth…… I think you see where I am going with this. Good news though, all of the above bad news can be prevented and in a very easy manner. Grab a lacrosse ball, remove your shoes, place the bottom of your foot on the lacrosse ball, as well as body pressure (you might need a pole on the rig for balance) and roll around. Get in between the balls of your feet, in your arch, and even on the heel. Do that for 1-2 minutes, switch sides and repeat. Doing this will yield a lot of results in the gym. It will surprise you how much this will help. 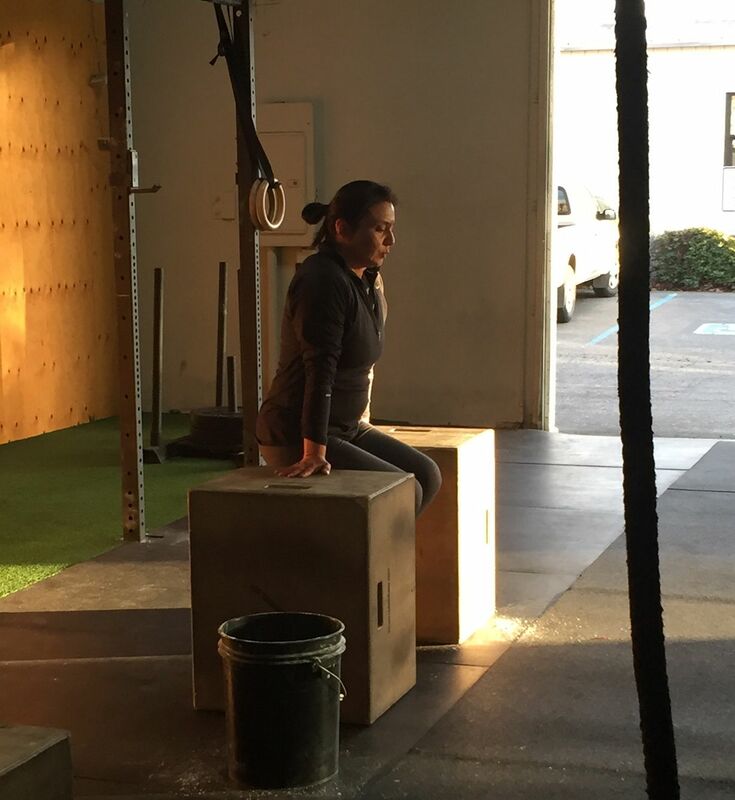 Laila Y. looking focused during L-sit practice! Keep up the awesome work!